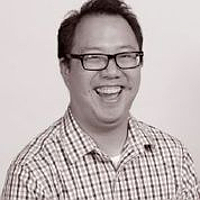 Jason Yip is an assistant professor at the Information School and an adjunct assistant professor in the Department of Human-Centered Design and Engineering at the University of Washington. His research examines how technologies can support parents and children learning together. He is a co-principal investigator on a National Science Foundation Cyberlearning project on designing social media technologies to support neighborhoods learning science together. He is the director of KidsTeam UW, an intergenerational group of children (ages 7 – 11) and researchers co-designing new technologies and learning activities for children, with children. Dr. Yip is the principal investigator of a Google Faculty Research Award project that examines how Latino children search and broker online information for their English-language learning parents. He is a senior research fellow at the Joan Ganz Cooney Center at Sesame Workshop. He holds a B.A. (2001) in chemistry and M.S.Ed (2002) in science and math education from the University of Pennsylvania, and a Ph.D. (2014) in curriculum and instruction from the University of Maryland. American Educational Research Association - Washington D.C.
American Educational Research Association Conference - Washington, D.C.